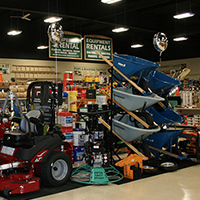 Vast array of products, equipment, and services supplying Southern CT and NY. Now Open in Bridgeport! Superior South carries an in-depth diversity of products, equipment, services and expertise that our customers have come to expect all in one easily accesible location in Fairfield county! We feature a full line of site products, full rental equipment, concrete accessories, waterworks, contractors equipment and supplies, and instrumentation. You can always count on competitive pricing and an experienced staff ready to assist in all your jobsite needs. We offer same day and next day delivery in Southern Connecticut. Stop in today!